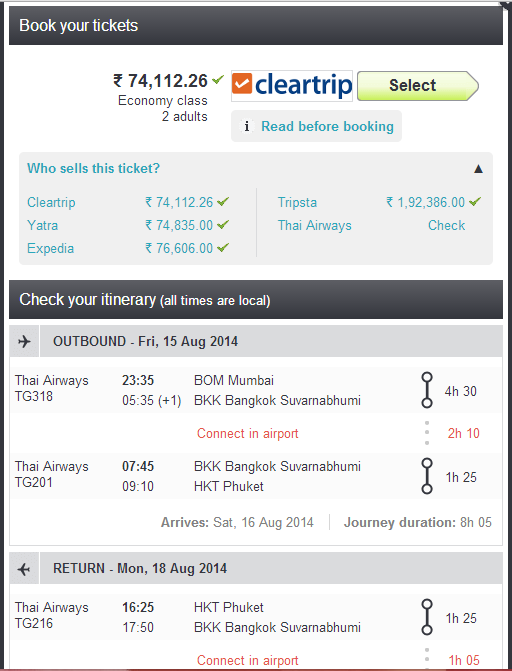 Jill Of All Trades: Skyscanner Dream Trip to Phuket! I love to travel, visit different places and on to memories that I would cherish for life!! I logged on to http://www.skyscanner.co.in/ and am really intrigued by the name of the website, as if it really is scanning the skies and the grounds to get me the cheapest deals on flights, hotels and more!! The first thing my eyes caught was the fact that they compare all the top travel sites, it listed all the sites I sit and compare when booking a holiday, and this place does that all in one go for me!! I started with first selecting the flights. I had three destinations in mind - Bali, Maldives & Phuket (All three of which are on my wishlist by the way), but settled for Phuket which seems to fit the budget. Now comes the most awesome part, once you select your departing city/country and destination city/country along with dates and number of people, it searches live and across all 15-16 websites that too REALTIME! So you have the lowest rates on your screen in a matter of seconds. I selected a flight I preferred (after seeing the duration, timing etc) and clicked book. 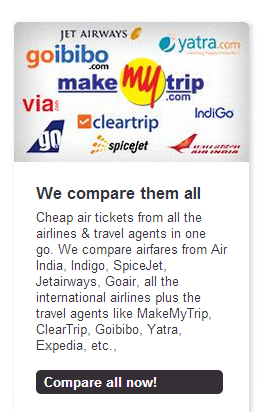 It again searches for the lowest in the market, which happened to be cleartrip for this search, and directed me to Cleartrip's website to complete the transaction. Next is the hotel, and my God there was such a long list of hotels! Filters plus comparisons of various websites meant the best deals ever! Though it was really tough to select one hotel, I searched by reviews rather than star rating and thought to go with Holiday Inn, the safest bet and it was pretty pocket friendly too! It will lead you to the hotel portal to confirm and book your room. And voila! Trip sorted! Not only that, you can even books cab/cars at your destination if you require! So basically a one stop place to book your perfect vacation. Now I can sit back and imagine myself on the exotic islands and beaches, sipping margaritas and mojitos and living the life! !